On December 17 and 18, the girls and boys basketball teams at Lakewood Park Christian School in Auburn hosted a Coaches vs. Cancer fundraiser. 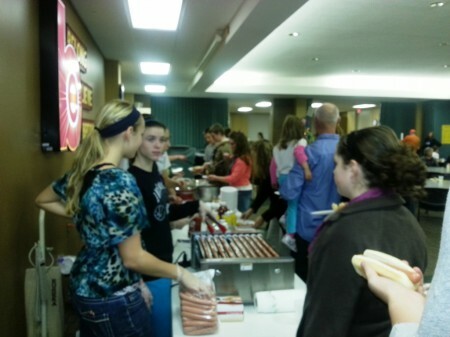 A hot dog and chili supper was offered before the games, with the free will donation to our organization. On Monday, the boys’ team served dinner while the girls’ team played, and on Tuesday, the girls served while the boys played. 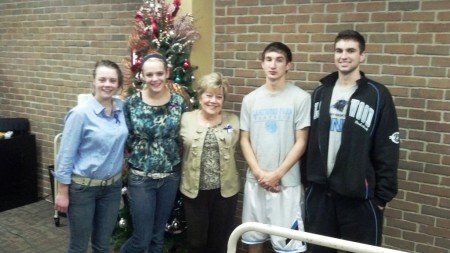 I took our cancer ribbon banner and ribbons so people could wear them in support of those they knew with cancer. On both nights, attendees willingly pinned on ribbons in support of family and friends and the gym was filled with ribbon sporting fans. It was such an uplifting experience to spend time with these young adults who have adopted helping others as one of their goals. Thank you Lakewood Park Christian! 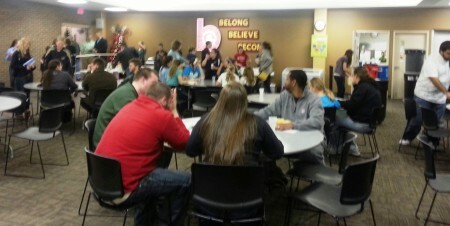 On Friday, December 7, we hosted our annual Volunteer Appreciation Breakfast. Over 250 volunteers joined us for a morning of food, entertainment, and expressions of gratitude. We could not do what we do without our volunteers, and this year, they went above and beyond to help us serve our clients. 11,734 Total volunteer hours given to our organization! We cannot thank you enough for your dedication to our organization and our clients. We hope you’ll join us for the 10th Annual Spring Auction benefiting Cancer Services of Northeast Indiana. It’s “Game Time!” Mark your calendars for Saturday, February 23, 2013 at the Allen County War Memorial Coliseum. This year’s event features delicious food prepared by Executive Chef Christopher Zimmerman, a beer tasting, and entertainment, as well as our exciting silent and live auctions. We’ve secured some all-star auction items, including vacations near and far, jewelry, sports packages and more! One person can make a huge impact on the lives of students and on an organization. Todd Roberts, a teacher at Northwood Middle School, is just such a person. Ten years ago, he started Aunt Elena’s Hair Care Challenge to honor his aunt and teach students the value of working to help others. Each year, he agrees to get a funky haircut and wear it for a number of days if certain fundraising goals are met. Students and faculty alike think up and participate in a variety of fundraising ventures to reach these goals throughout November. While having fun, they are working toward a goal and learning the value of helping others. What was so impressive was the zeal with which these students collected money for charity. They were so happy to contribute to a worthy cause. Many of them have been personally touched by cancer—parents, siblings, grandparents, friends– so they understand the effect it has on people. Thank you Northwood Middle School! We’ve been talking a lot about being grateful here at Cancer Services. And as you might expect, the objects of our gratitude vary from person to person. But the most common response is the naming of a loved one. Someone who brightens our day, makes us laugh and offers just what we need when we need it. Thursday is Thanksgiving Day. I’m grateful for the gifts of donors who share their bounty to brighten another’s day. I’m grateful for the cancer patient who comes with a twinkle in his eye to share the latest joke and make me laugh. And I’m grateful for the wise and generous volunteers who know how to help when it is needed most. As the holiday gift giving season gets underway, consider adding some items to your shopping cart to help those with cancer in our community. Cancer affects a family in many ways and can make an especially large impact on a family during the holidays. Faced with prescription costs and cancer-related treatment bills, many struggle to provide the bare minimum to keep their household afloat. The most widely distributed items from our warehouse are incontinence products, specifically the pull-up kind. Consider adding these items to your online order from Amazon.com or to your shopping cart this holiday season. These items will be distributed directly to our clients. Click on each picture for a direct link to the product page on Amazon.com. Amazon offers the ability to ship to multiple addresses, so you can simply add them to your cart and ship them directly to us. Our address is 6316 Mutual Drive, Fort Wayne, IN 46825. Thank you for thinking of us this holiday season! On September 28, the Red Hot Hattitudes held their second annual breast cancer awareness fundraiser and raised $1,800 for our organization. 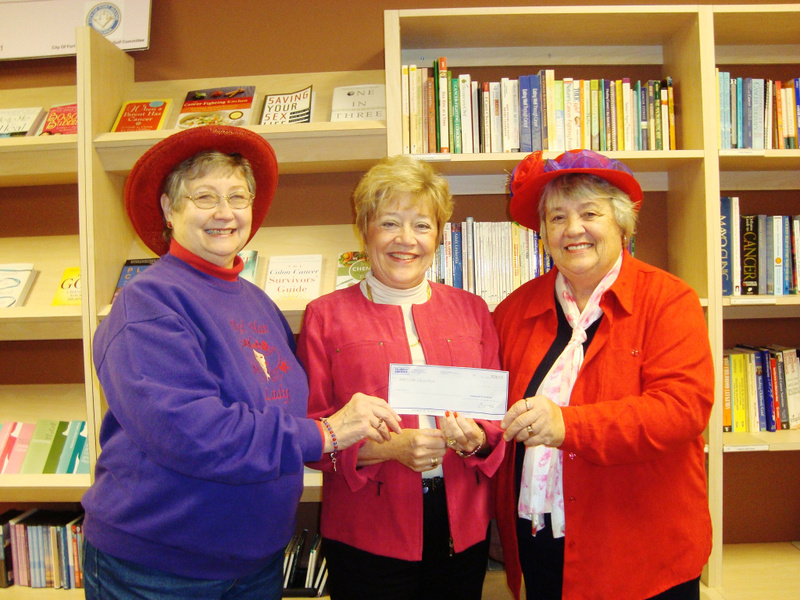 Shown here are Sandy Whitig and Gwen McBride presenting the check to Linda Bewley, Outreach Coordinator. CSNI greatly appreciates the efforts of these Noble County women who support our mission. 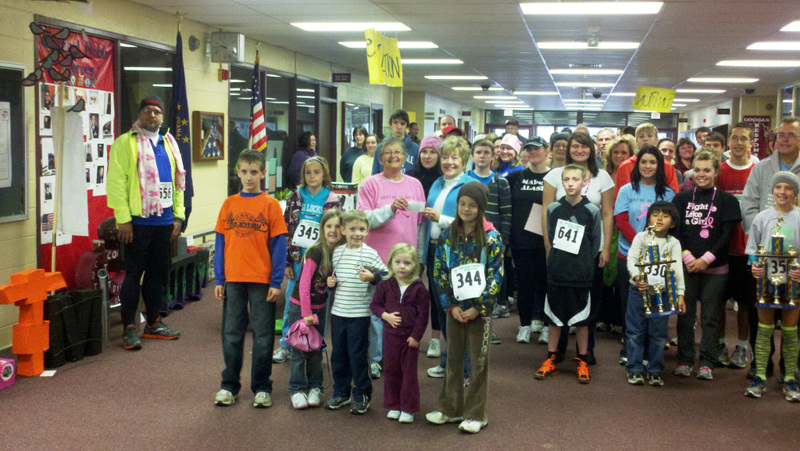 The 9th Annual Beat BC 5k took place on October 20 at Central Noble High School in Albion, IN. 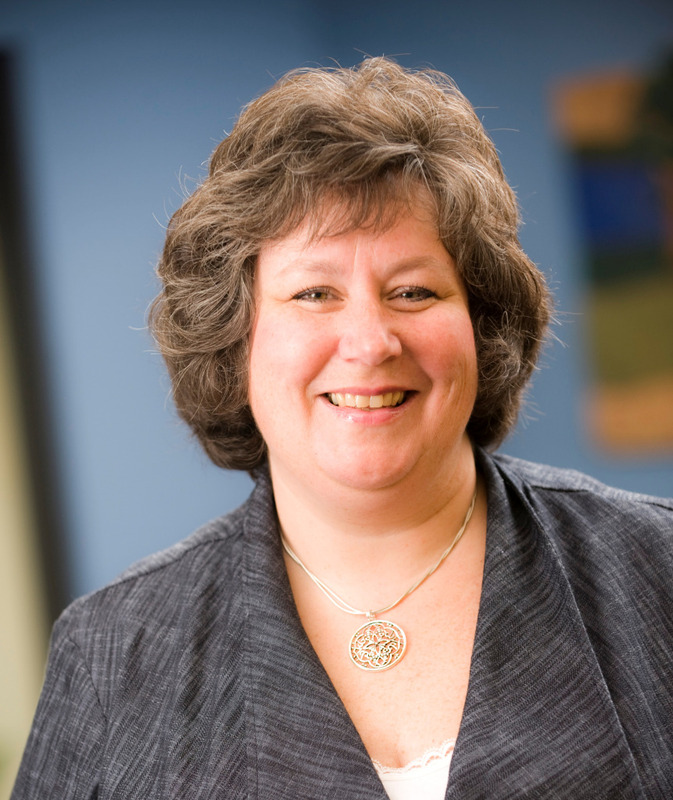 This event originated with Judy Hass and her family to benefit local women with breast cancer. I have attended this event many times and am always amazed at the large number of people who come together each year to help their friends and family who have a cancer diagnosis. All proceeds are donated to our organization to help those people in our area who are dealing with the disease. This year, the event raised $12,000!! Thank you to Judy, her family and all the participants for this donation to help local people with cancer. We will host licensed massage instructor Lori Schlatter on Saturday, November 10, for Touch Caring and Cancer, a program that teaches participants simple massage techniques to help those with cancer in their lives. The session is $25 per participant- cancer patient or survivor. Bring a caregiver to the training free of charge. Great course…enjoyable, informative and helpful. I feel more confident in helping my wife feel better. We love it so much! It has drawn us closer. We enjoy coming in for massage, but now we can actually do massage ourselves. We hold hands more; we even talk a little more. On Thursday, October 11, Cancer Services of Northeast Indiana presented our eighth annual Tribute Dinner at the Fort Wayne Marriott Marquis Ballroom. The event offered a special evening of memorials and healing laughter within our cancer community. Our Tribute Dinner is an important opportunity to gather with others along this cancer journey, pause and pay tribute to some amazing people. Beautiful tributes were dedicated to many people touched by cancer, including survivors, caregivers, physicians, and lost loved ones. Guest speaker, Scott Burton, a stand-up comic and world-class juggler, set the tone with the gift of laughter. He shared his story as a cancer survivor and revealed a refreshingly honest perspective of the human side of cancer. Cancer Services provides meaningful resources, information and compassionate assistance to individuals diagnosed with cancer and their families. For every person with cancer whom we meet, we also come to know the people around them, who love and care for them during their journey. Events such as our Tribute Dinner allow us to succeed in our mission and aid in the quality of life for cancer patients here in Northeast Indiana.